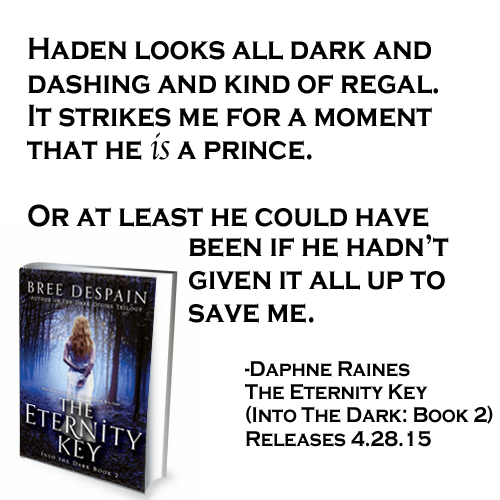 I have an excerpt to share from The Eternity Key by Bree Despain today! The Eternity Key is the second book in the Into the Dark series and releases on April 28, 2015. You can learn more about The Eternity Key here, The Shadow Prince (book 1) here, and Bree Despain here. Check back next week for more exclusive content and look for a giveaway of The Shadow Prince coming soon!